Here's Presley, who was our homegrown, sparkling boy, who definitely lived up to his name, catching everyone's eye as he goes by! Presley had so much quality just waiting to happen but tragically he shattered his cruciate ligament and operating was not an option. Even though very spirited, he is was joy to own & show and was a multi Class In Group & In Show winner. 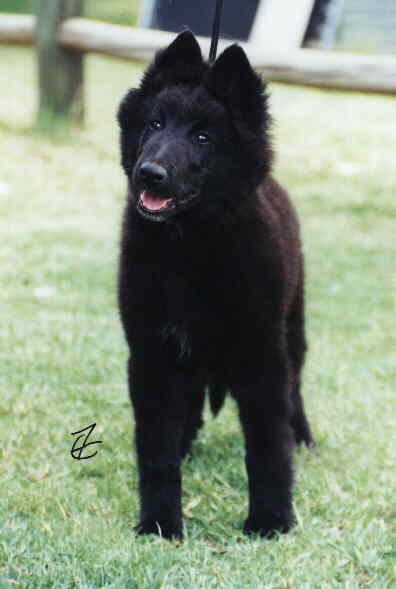 Presley sired our "G Litter" with our beautiful Jeddah (Grand Ch Darkfire Vegas Vacation). 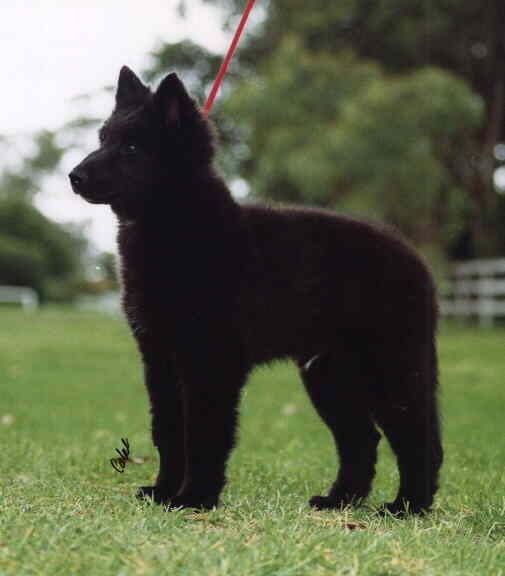 Most notably out of the G Litter is Beljekali Gypsy in Black "Bella" who excels in the working arena. To Bella's and her owner, Elsina Meyer's credit her titles to date are CDX, AD & JD. Congratulations Elsina and Bella!!!! 1st Very Promising (Ms Myriam Vemiere (Blg)) Baby Puppy Class & Best Baby Puppy in Show (Mr Firmin Aertgeerts, BSDC of NSW Specialty, April 2000, Both judges being renonwned Breed Specialists from Belgium. Best of Breed, Best Junior in Group and Runner Best in Group, ACTLKC, Jan 2001, Judge Mr M Martin (ACT). 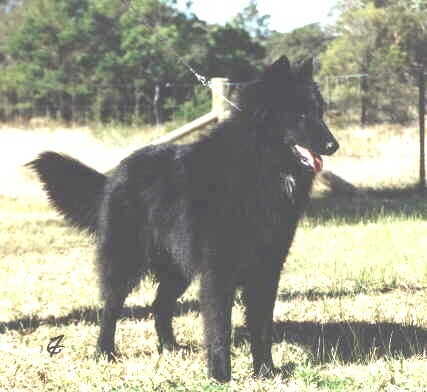 Runner up Best of Breed, Best Junior in Group, QK&OC, December 2000, Judge Mrs A Green (NSW). 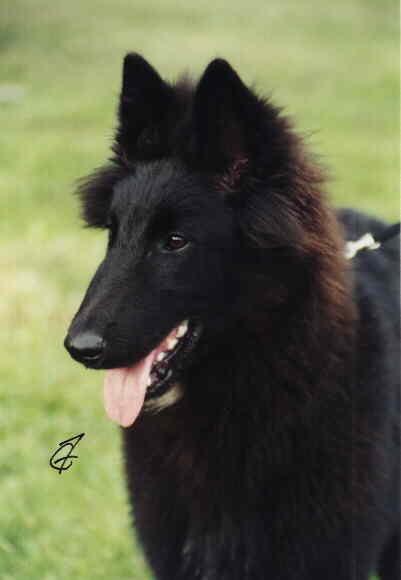 Best of Breed, Best Puppy in Group and Runner Best in Group, CABKC, October 2000, Judge Mr C Rogers (NZ).